Join the CD for the first in a two-part tour of Santa Barbara, California’s Urban Wine Trail, where we’ll visit three of Santa Barbara’s more refined tasting rooms. The crown jewel of the self-proclaimed American Riviera, Santa Barbara is part beach resort town, part college town, and increasingly, part wine town. The city’s Urban Wine Trail offers a convenient alternative to the scenic but long drive between vineyard-based wineries in California’s geographically large Central Coast AVA/wine region. CD followers know well by now that I make good use of my recent proximity to Napa and Sonoma Counties in Northern California. I am a huge fan of their big, fruity, bold and balanced Cabernet Sauvignons, Zinfandels, and the surprisingly delicate but memorable rosés and sparkling wines. The wines of California’s Central Coast region, however, offer a contrasting style – one I wasn’t sure I could embrace. 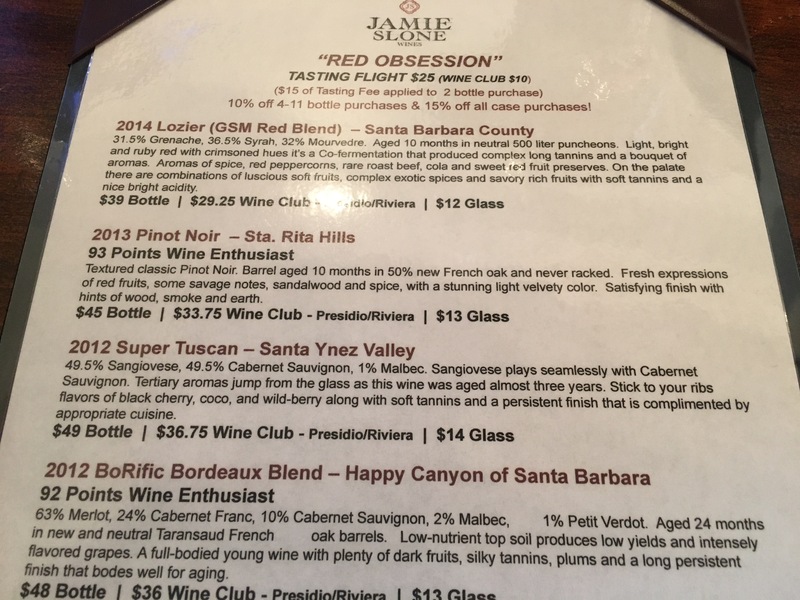 After a recent trip to Santa Barbara, an adventure on its Urban Wine Trail, converted my skepticism into real appreciation. What initially was to be a beach weekend retreat turned into a full day of trekking – wine trekking, that is – when the weather turned gloomy and rainy. 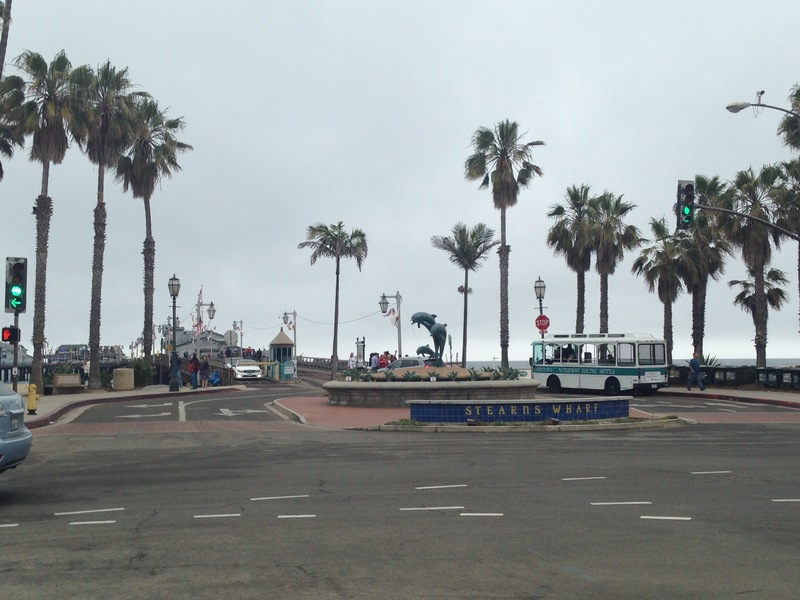 If you’re unfamiliar with Santa Barbara, the American Riviera is a pretty good descriptor. The city’s Mission style architecture and cobblestone-paved, pedestrian alleys adjacent to State Street, its main avenue, are filled with an odd mix of retail, restaurants, and wine tasting rooms adorned with sometimes inexplicable sculptures and painted wall signs. It’s Mediterranean Europe – and I mean all of the Mediterranean plus some not-so-Med German and UK influences – meets California; resort chic meets college Bohemian; NorCal meets SoCal. With so many contradictions in personality, it is little surprise the city’s tasting rooms are equally as diverse and eclectic. We began our afternoon on the northern end of the Urban Wine Trail, in the La Arcada pedestrian shopping area just off State Street, at Cebada Winery‘s tasting room. The small tasting room (really, a loft) opened in 2015 inside/above Isabella Gourmet Foods, so it is quite the newcomer. Yet it draws fervent devotion from its reviewers, so I had to try their vertical tasting. The 2013 Chardonnay was significantly lighter in body than a Napa Chardonnay, and its nose and overall complexity perhaps not as high, but it was smooth and appealing to me, as someone who doesn’t gravitate towards Chardonnay. Cebada’s 2014 Chardonnay, in contrast, was a bit too new and neutral and could use a few more years’ aging in the bottle. The Pinot noirs impressed me much more. The 2011 Pinot was smooth and pleasantly fruity, but the 2012 was an outstanding Pinot. It was smooth and light. Its cherry aromas had depth – a mix of sour, ripe, and a hint of dried cherry, and with slight spice on the finish from the neutral oak. It was even better paired with dark chocolate. It was no wonder that Wine Enthusiast rated it 92 points. How could we follow up the ’12 Pinot? Why, with one of the best California dessert wines I’ve ever tried, Cebada’s 2011 Forbidden fruit Libation! The 90% blueberry wine is fortified with 10% brandy. Yet it lacks the cloying heaviness and sweetness of a port and would be perfect in all seasons. We were told that once open, it remains drinkable for more than four weeks in the refrigerator, perhaps even at its peak after two to three weeks. 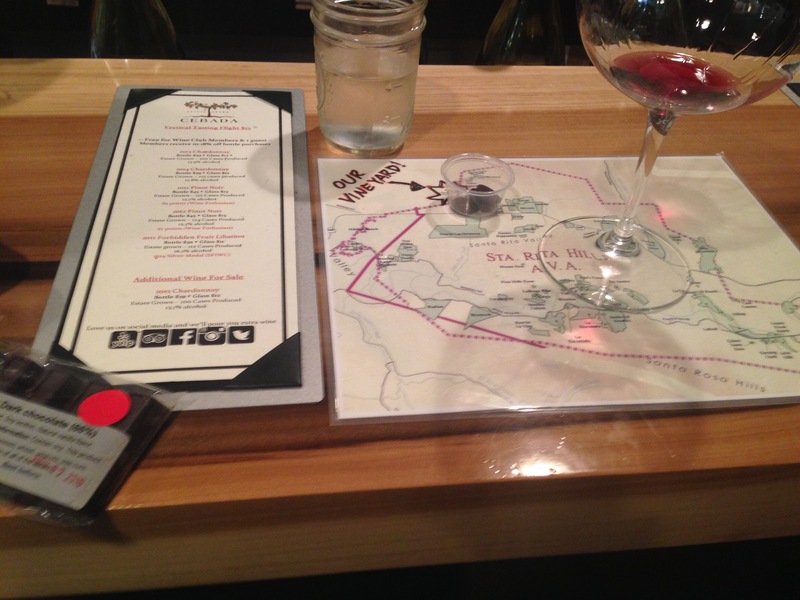 We followed Cebada’s suggestion and walked through La Arcada to Sanford Winery‘s posh tasting room for their winemakers’ flight, which allows the taster to compare wines horizontally (same vintage, same grape varietal, different vineyards). Two sailing partners, Sanford and Benedict, launched the winery in 1981. Sanford boasts the oldest grapevines in production, and they still grow on original 1976 root stock. The 2013 Gravity Flow chardonnay is the product of grapes from two vineyards. I found it to be light with notes of vanilla on the oaked finish. It had a moderate complexity characterized by delicate hints of minerality, green melon. The Estate-grown 2013 Sanford and Benedict Chardonnay, produced from those “oldest vines in Santa Barbara County,” was less noteworthy for me, as it seemed slightly heavier and less complex. As for Sanford’s Pinot noirs, La Rinconada Pinot noir was marked by the aroma of sweet, fresh cherries and a touch of oak. It drank smoothly; I enjoyed it. Again, the Sanford & Benedict vineyard didn’t quite deliver for me. Its Pinot noir was tart and acidic to me but more smooth and with a touch of spice on the finish. 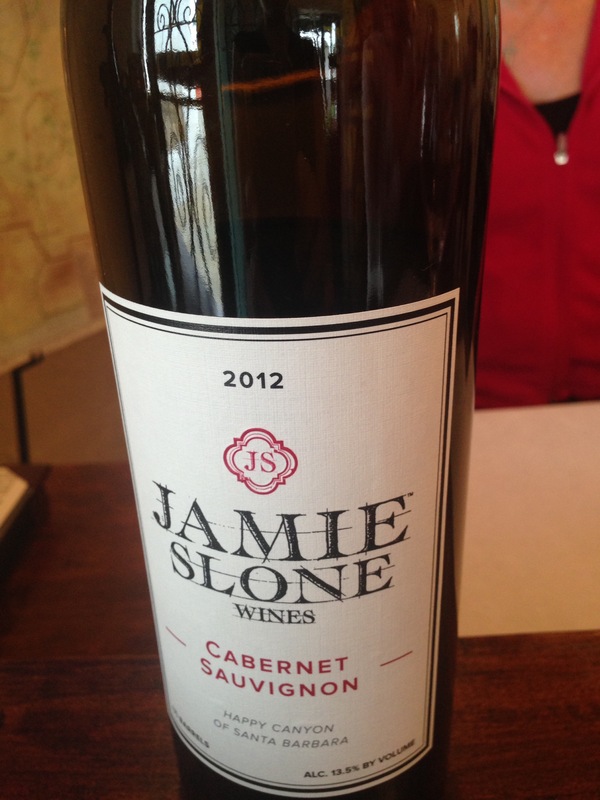 Our next stop was a planned visit to Jamie Slone wines, which I picked based on reviews and their own advertisement of their Bordeaux blends. We were not disappointed at the family-owned winery and tasting room’s selection and quality. Their Sauvignon blanc was straightforward and light, mimicking the style of New Zealand’s. The rosé was one of the more unique and best I’ve had lately, with bold watermelon notes. Pinot noirs were respectable, if not memorable. They offer more unique blends, including P1, an Australian blend, BoRific, a merlot-heavy Bordeaux blend, and their own Super Tuscan-style Cabernet Sauvignon and Sangiovese blend. The Super Tuscan was full of lush, ripe red fruit; the BoRific a less complex but decent imitation of a right bank Bordeaux. Cabernet Sauvignon had more of a cool-climate, earthy feel like a Chilean cab. I’ll still take Napa cabs any day. The first half of our urban wine trail trek concluded with three great finds from Santa Barbara County’s notable wineries. Next week, I’ll take you to Santa Barbara’s Funk Zone for a more eclectic, crowd- and newbie-friendly tasting adventure.